Sandals Montego Bay is an all-inclusive, couples-only resort located on a private beach in Jamaica. 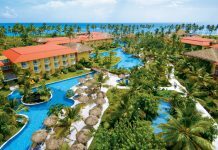 Highlights of the resort include beachfront suites, nine restaurants, four pools, and unlimited water sports, including scuba. 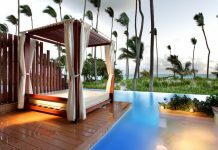 Rooms at Sandals Montego Bay fall into luxury, club and butler categories, and amenities vary by level. Luxury rooms are the most affordable, and feature four poster beds and a choice of garden or ocean views. Club rooms are mid-range, and include beachfront villas and honeymoon suites. Most club rooms have ocean views and either a balcony or patio with soaking tub. Butler rooms not only include Sandals’ popular butler service, but also upgraded amenities like mini-bars stocked with premium liquor and upscale bedding. The resort recently debuted new oceanfront swim-up suites, complete with butlers and outdoor soaking tubs. 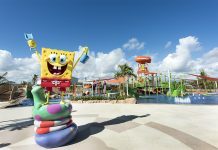 There are nine dining options at Sandals Montego Bay, including a buffet and a la carte restaurants serving Italian and Asian cuisine, as well as a pizzeria, a British pub, and a cafe. 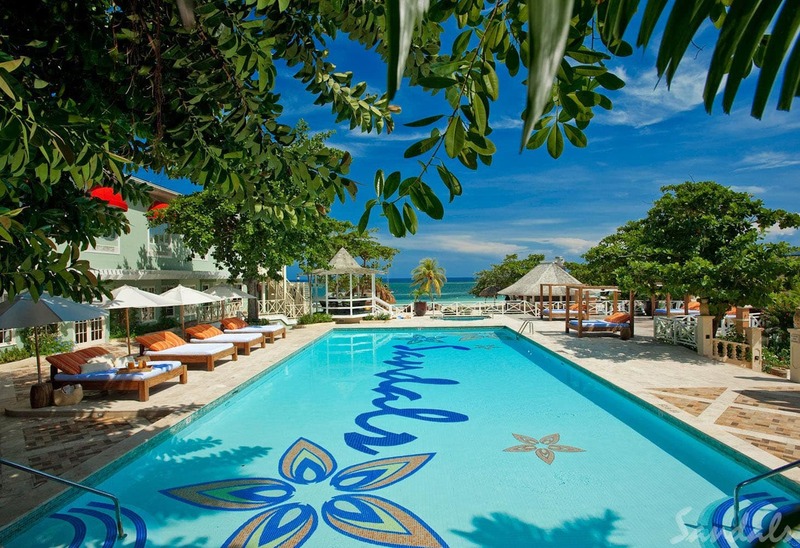 Guests are also able to visit the pools, bars and restaurants at Sandals Royal Caribbean and Sandals Inn. Round trip transportation between the resorts is included. Sandals Montego Bay is located 10 minutes from Sangster International Airport (MBJ) in Montego Bay, Jamaica. For more information, visit Sandals Montego Bay’s website.